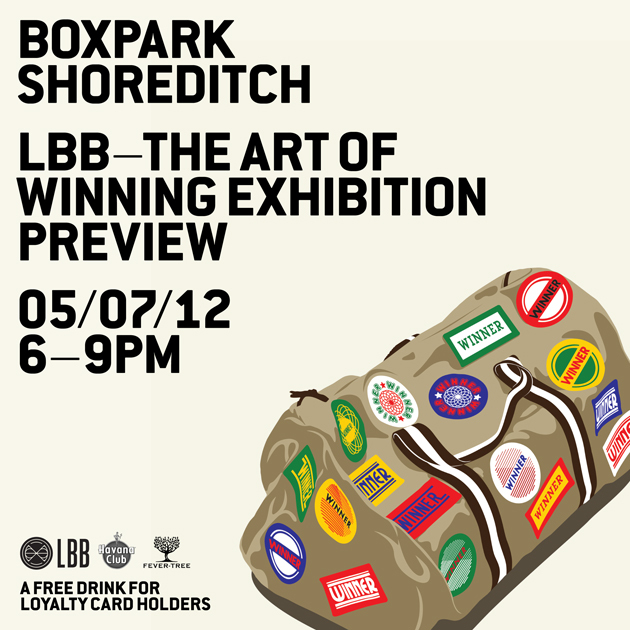 Becoming widely known around the East London art community, Boxpark's Outdoor Art Gallery features a range of talented artists with a variety of concepts and artistic visions. Extending from one end of the pop-up mall to the other, the large art boards are hung along the corridor of shipping containers home to its nine food and beverage units and two charities shops. It is this industrial canvas that provides the backdrop for some incredibly established artists, and the platform for up and coming ones. 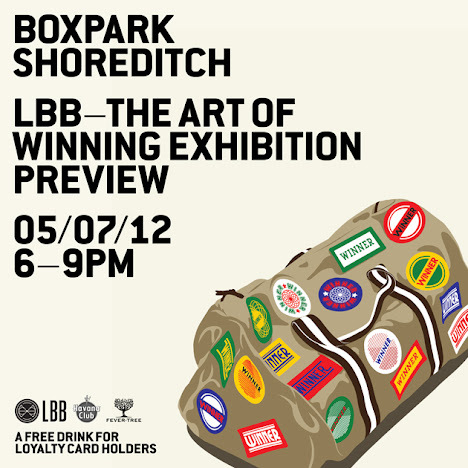 Thursday 5th July from 6-9PM, Boxpark hosts a feel good exhibition with talent agency Let's Be Brief and creative agency twentyextra. The exhibition will present 12 of the best poster designs all inspired by "the art of winning," and the summer 2012 Olympics. Join Boxpark upstairs for drinks provided by Havana Club and Fever Tree, and a live music performance from The Insomniax and Earnest Endeavours.